The Holidays are headed our way, and with them are millions of ways to develop specific marketing strategy to funnel your target market your way. With so many businesses taking advantage of this marketing season, it is especially important for small businesses to invest in holiday marketing to keep up with their competition instead of being swallowed whole! Marketing Investments are an incredibly important driving factor for businesses. If you are self-employed or running a small business, it can be tricky to decide how to allocate your marketing dollars, but we can tell you that holiday marketing gets a lot more attention in the budget of most businesses. Taking out a Small Business Loan can be a great option for the holidays alone, and when you utilize some of these great marketing tips your business will be sure to see the impact! Atmosphere is what makes the holidays so magical! People love to be surrounded by all the elements that contribute to the unique feel of each holiday. For Halloween it is that spooky factor, bats, ghosts, spiders, fall leaves, orange and black, and of course pumpkins! 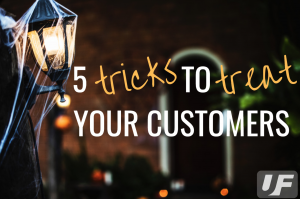 Your first step is to decide the level of “spooky” that is appropriate for your business. There are ways to add to your Halloween mood without breaking down the professionalism barriers. Tasteful uses of orange and black, Autumn leaves and pumpkins are a great addition to any office without getting too funky! In your marketing, slight changes can be implemented to suit your holiday theme. Halloween or Fall color palettes are a great way to set the mood. Slipping in the occasional pun (depending on your business) adds a little holiday humor and most audiences can appreciate a good giggle. Updating and personalizing your marketing demonstrates attention to detail, and resonates with audiences. Customers everywhere are constantly looking to save a buck, but this is the most true of holiday season. October is when a lot of the holiday shopping begins, and bargain hunters start the earliest. Take advantage of their attention with great holiday themed promotions and savings. Groupon is a great resource for adding a deal for your business and making it searchable. Post your promotions on your social media and give them the extra boost with the Ad Managers for your social media platforms. Wherever you are located, or wherever your target audience is centralized, you can come up with a list of popular Halloween / Fall events in the area. Making these in print form with your business’ information and branding is genius because your potential customers will need to have the list in-hand when scouring it for the best events, which means they will be subconsciously viewing your business information over and over during their hunt for the perfect party / parties. Giveaway promotional items with your information on them! There are endless ways to utilize this strategy, from giving bigger gifts to your existing clients (take this Halloween treat from Edible Arrangements, for example), to handing out mini-candy corn packets with your logo from anypromo.com. There are also Pumpkin Totes for kids, brain-shaped stress balls, and an array of different Halloween pens! Whatever item you decide to go with, make sure it will be easy to give away and likely to be used more than once. To give it an added kick, post the item on social media, run a giveaway for them and create a hashtag for recipients to post photos of their “treat” and tag your business for a chance at an “ultimate giveaway”! The Power of Showing Off. People love to post photos of themselves on the internet, case in point, “Selfies”. When you take a holiday like Halloween when everyone is spending a generous amount of creative thought, effort and dollars to execute the perfect costume, they will want the end-product to last as long as possible with maximum exposure – enter, the costume contest. Create a contest with a unique hashtag, require the participants to use the hashtag and to also tag your business on social media, and offer a prize. Boom, leads. Choose a winner, advertise that on your social media, and encourage the winner to post of photo on their social media with the prize (tagging your business). Next, be sure to follow up the rest of the participants with a “Thank You” for participating and invite them to sign up for emails that alert them to future contests, etc. The costume contest is the gift that keeps giving! Disasters are everywhere. We see the devastation caused most recently by Hurricane Michael, and our hearts go out to those in the Mexico Beach and Panama City areas in Florida. In the north, we see a “winter-like” storm about to “unload” on the northeastern states. Over in Saipan a typhoon is battering down. These are just the natural disasters, continually popping up to throw a wrench in our routines. What about other types of disasters? Something a little smaller, but still disruptive such as; a failed server, a building fire, a burst plumbing pipe, or even the flu! Unforeseen circumstances can occur suddenly without a warning at any time, threatening to limit your business capabilities. You can’t take the risk of not planning ahead to ensure that safety measures are in place to guarantee that “the show must go on!”. We have put together a Basic 10 Step Plan to help you prepare a Plan of Action in the case of an emergency. Assess internal and external risk factors. This is a process that you should have built into your mind, constantly evaluating circumstances to target potential risk factors. Begin with your region and what natural disasters are most likely to affect you. Hurricanes? Earthquakes? Tsunamis? Typhoons? Snow storms? Flooding? Next you should consider things that would affect your internal operations, such as flu season, family emergencies, human error or technology failure. Recognizing the most likely scenarios will help move you towards solutions. Analyze your critical business functions. Take a close look, evaluate and document the way your business functions. Which personnel, equipment and processes are critical for your daily operations? You should create a list and of those critical components ( billing, payroll, fulfillment, etc. ) and develop alternatives methods to complete each of those components, should there be an interruption. Plan for an alternate location. These days we have a lot more options when it comes to working from different physical locations. This is greatly dependent on the type of business you are running, but already many businesses are creating alternative working spaces for employees to complete work remotely. Depending on the type of disaster and how long you will need to function out-of-the-office, have at least two options ready – one that is close by and one that is perhaps out of the county or state. Check out the options for “Day Offices” in the two different areas, or even have a satellite office building that is prepared to take you and critical staff members on. Speak to your vendors and find out if they themselves have a disaster plan in place. Seek out and develop relationships with alternative vendors in case you need to seek out replacements. According to recent surveys, less than half American businesses have a disaster plan or business continuity plan set up to prepare for interruptions in business. This is just another reason to cover all your bases. Ensure employees and their families are prepared for disasters both at work and at home. Of course, your most valuable asset is your staff. Without your reliable employees, most of these preparation methods would inevitable fail. Be sure to educate your employees on the importance of planning ahead for a disaster, in their own homes. Share the critical components of your disaster plan with your staff and specifically outline their individual roles in your preparation to make sure the execution of your plan is flawless when the time comes. Back up your data and practice restoring your technology. I think in this current time it is no secret how important backing up your information can be. Websites, computer systems, important information, etc. Everything you need to keep copies of should be listed and there should be a system assigned to ensure each important piece has a backup plan. If your business is small, it could be as easy as using Google Drive, Dropbox or something similar to store files. Larger businesses may need an actual backup server. Create an employee, vendor and key client communication plan. Have a 24-Hour phone tree – a system in which each person is responsible for reaching an assigned individual or group – for all employees are able to stay updated on crucial information. A designated phone number with updated recordings, or even a Facebook Group dedicated to updates within your business can be used. Another important consideration is a method for keeping clients / customers updated. A VOIP system is a great way to transfer calls from the office to your phone through an app. Another option is to have an answering service provide a personalized touch and update for any concerned clients. Major updates and encouragement that you have everything under control should be posted to all social media accounts and website. Emergency kits should be assembled containing fresh water, non-perishable food items, flashlights, extra batteries, battery-powered AM/Fm radio, first aid kit, and copies of vital documents. In addition, your it should contain petty cash, a corporate letterhead, software licensing keys, passwords and other sensitive documents that may not be able to do uploaded to a backup system online. Regularly review your business insurance coverage. Do you know what your policy will cover? After completing the initial steps in this action plan, is there anything you would revisit? Having a conversation with your agent at intervals to assess your coverage will ensure that your insurance plan is up-to-date and covering all your needs, should an emergency arise. Make sure to put your plan into practice and test it at least once per year. During those times, it is wise to create an outline for employees with any important information they should need during a disaster. Ensure that everyone knows their role in case of a crisis, and keep all policies up-to-date as necessary. Keeping your business guarded with backup software, emergency items and funds is incredibly important. 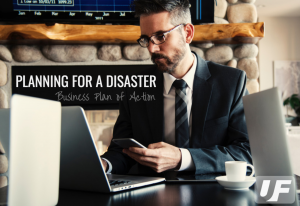 Investing in the business disaster plan should not be something to wait until the last minute. Evaluate what is needed to prepare the most critical aspects of your business. Many businesses will include this in the start-up costs or Start-Up Loans / Business Loans. When you are starting a new business, it only makes sense to protect your investment with a business disaster plan. Going into business for the first time is an amazing feeling, it’s a high really. You have this ideal image in your brain about how you will run a flawless workflow, all your employees will applaud your business savvy, and your profits will be through the roof…. Right? Well, while any business has the potential to grow and evolve into a successful company, it is not without those tricky little things we call, “obstacles”. Granted, some new businesses have fewer hurdles to jump than others, but there is navigating to be learned, no matter your industry. After you have made your business plan, applied for your Small Business Loan or Start-Up Loan, you have to map out what expectations you have for your employees and even come up with a plan to address some of the most common issues among staff. Anticipating any problems and the solution before it happens is a great way to deal with an issue from a non-emotional standpoint, which commonly happens in the heat of a moment. Anticipation is your best friend. Some of the greatest decisions and most detrimental mistakes start and end with your employees. From the hiring to the handling, this is a place where many businesses find themselves reaching for a resource to guide them through the process of dealing with the many situations (both good and bad) regarding their personnel. 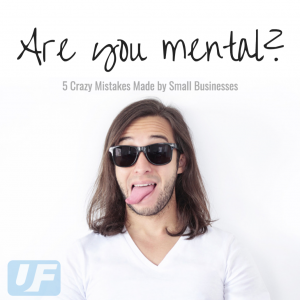 So let’s dive in and take a better look at what mistakes you can avoid, so you can set your business up for success. It’s one thing to be polite and kind to your employees, it’s another thing to let them get away with anything because of this strange notion that you are all some sort of dysfunctional family. That’s really cute in sitcoms, but in real life you need to be able to maintain your stance as an authority figure and be a fair judge or circumstances. When it comes to business, no emotion should be factoring into decisions. It just complicates things, not to mention being accused of having favorites or letting personal relationships factor into your business decisions. This does not translate by any means into being cruel, it just means keeping business relationships strictly business – Especially when you are the boss. Cut-backs happen sometimes. Especially in new businesses. Sometimes you have to curate your staff down to the necessary nuts and bolts. Many times in these types of circumstances, bosses will “make it easier on themselves” by getting rid of the newest member of the team – you know, so that it makes sense to everyone else and less feelings are hurt. Here’s a tip, your hiring and firing decisions shouldn’t depend one iota on the emotional responses of your staff. Your decisions should be solely based on skill and being the right fit for the job. If that “best fit” happens to be the young man who started two weeks ago, keep him on. Don’t keep people around just because they’ve put in a certain amount of years. In the end, you have to make decisions that will be in the best interest of the business. Not everyone will agree with you, but that’s okay, because you are doing what you think is best for the company… and because you’re the boss. A huge, GIANT mistake that a lot of small businesses make is thinking that because the business is “small” and because they know their employees so well, they don’t have to worry about breaking any Human Resources rules. Well, let me tell you from personal experience that having that kind of attitude can be the killshot. Business is business and you shouldn’t let your guard down, no matter how well you know a person on your staff, or despite how small your business is. This is not to sound cynical, but just as a precaution. Know your employment laws and make sure you are always doing right by your employees, no matter the size of your business. It’s an unavoidable thing, as soon as you start your own business, people that you know will be coming out of the woodwork for a job. It makes it difficult for most people to turn these friends and family down, and you don’t necessarily have to turn them down. However, if they are not the right fit for the position, it should be a no-go. Pity and handouts don’t keep a business going. It’s the hard truth, but you have to make decisions based on what is best for your business. If Cousin Ned doesn’t know a darned thing about marketing, there is no reason why you should make him the head of your Marketing Department. Sometimes there is an individual in the office who is so defiantly against the entire environment that you want for your staff. They may have some redeeming qualities, but overall they are lacking in work ethic, and interpersonal savvy. When someone is exuding toxic vibes to the work environment, it is time to decide whether to work with them to improve and how long you should do so. There is only so long that you can help someone work on their behavior before you realize that they are a lost cause and it is causing more harm to keep them around. Hurting feelings may be a concern, but there is always a diplomatic and professional way to let anyone go. Don’t hang onto toxic people for too long, make your decisions quickly before they begin to bring down the entire morale. In the recent decade, the market for professional wedding photographers has become extremely saturated with options for future wedded couples to choose from. Along with this increasingly competitive industry, it creates new expectations for professional photographers to reach in terms of both quality work and equipment to run a flawless business, turning out fast production and work that is ripe with detail and high quality images. In order to set the foundation as a new professional wedding photography business and even to keep up with the ever-evolving line of new cameras, lenses, lighting and other required equipment, many professional wedding photographers are turning to Small Business Loans and Start-Up Loans to keep their business well endowed with the best equipment on the market. We have developed a bit of a list, geared specifically at the professional wedding photographer start-ups, to help give you an idea of the type of Small Business Loan or Start-Up Loan that may be needed. Getting all the facts and exploring the resources takes time, but when you are setting yourself and your business up for success, you should never skimp on the research and all the details about where your money will be going. 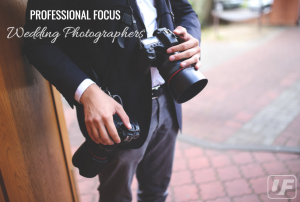 You’ve most likely heard the phrase, “you have to spend money to make money”, and in a profitable industry such as wedding photography, it is exactly that. Before you can start bringing in the big bucks and expanding your portfolio and your potential new client database, you have to have all your ducks in a row. Keep in mind that this list does not include things such as business licensing and insurance, at-home printing, stationery, marketing, branding elements… These are the main pieces of “equipment” that you will need. Costs can vary, and few are lucky enough to get ahold of great deals on pieces. This is just one of the resources you should be taking into account when planning out the details of your business. Of course, right? If you are going to be a photographer, you want to make sure you have that all-important weapon to brandish against those demanding brides and grooms – the camera. There are options upon options, whether to use Nikon, Canon, Sony…etc. After that choice, you must decide if you want a crop-sensor or a full frame? If you want crisp focus and high performance in low-light atmospheres, the lenses are important but they work best on a high quality body. You can easily spend over $3000 for a full frame body, such as the Canon 5D Mark IV. On the other hand, there are less expensive options (along with those at greater expense), but you have to perform your due diligence to discover what fits in your budget and meets the expectations of quality. It is recommended that before making a choice on any of these pieces, that you rent the equipment and give it a run. When it comes to lenses, professional photographers are constantly in disagreement about whether to use prime lenses (one focal length) or a zoom lens. Both have pros and cons and it really comes down to preference. Either way, one lens is never enough for a wedding. You have to look at different pieces of glass for each purpose – portraits, close-ups, and wide shots. Again it comes down to what works best with your budget and needs, but a minimum of 3 lenses is pretty much standard for a new professional wedding photographer. High grade quality glass will run you between $1,000 – $1,800 for each lens. If all weddings were outdoors entirely, in perfect sunny weather, during only the most opportune hours of the afternoon, then no one would ever need a flash. However, the reality of it all, is that most wedding run into the darker hours of the evening, and the indoor lighting and ambiance is low lit to create a romantic vibe, therefore having a flash is necessary. Along with this need, any photographer worth their salt will have at least one backup flash. Options for these pieces of equipment range from $100 – $1000, and if you are looking for studio grade lighting rigs, they will likely run even higher. Protection for your expensive babies is important. You don’t want to spend this kind of budget on all your equipment and leave it in the hands of fate by storing it any old bag. Companies such as the ever-popular Pelican design heavy duty carrying cases for all types of equipment and provide you with peace of mind that your bread-and-butter will be able to withstand all types of travel and transportation. Once all is said and done, the confetti is blanketing the dance floor, and the “Just Married” vehicle has left the building, you can take your tired feet home to cull and edit all your beautiful images. For this next step you will need a trusty computer ( and a backup system) to upload all your work and begin the editing process. It is important to find a computer system that can handle large editing software and run smoothly. Computers can range from $1500 – $2000 for a solid system to handle all your work. If only everything was ready to show straight from the camera, right? The reality of any wedding is that no matter your knowledge and skill with the camera settings, you will never have an entire wedding that doesn’t need touch ups, lighting fixes and color correction. Not-to-mention the variety of stylization trends that come and go in the industry. With the Adobe Suite being the most popular software for this job, it now comes in versions available for either renting or owning. WIth renting being the most popular choice these days, plans start at $10 monthly. Not too shabby. Now that you’ve used all this fancy equipment, paired with your knowledge, skill and interpersonal savvy, you want to bring in all the referrals and market your work to new potential clients. The first and most vital way to showcase all of your glorious work is to set up a website that is aesthetically pleasing, intuitive and compliments your work. A mark of any great professional these days is to have a dynamic website that allows potential clients to find you and check out your work online. Professional Websites can be built for $1000 – $10,000 depending on the extent of your content, but are a necessity to host your portfolio in a way that is easy to navigate and casts a spotlight on your images for all of your audience to see. For more resources on equipment to choose from and insight from other professionals, check out sites similar to the following: ShotKit.com and Enviragallery.com. Then you can head over to us and see how much you can qualify for in a Small Business Loan or Start-Up Loan! If you have ever seen the movie, “I Love You Man”, then you have seen a great example of how investing in marketing can achieve a great edge on the competition to stand out. For those who haven’t seen the film, the character Peter Klaven is a Real Estate Agent who is entrusted with selling the gigantic estate of actor Lou Ferrigno (A.k.a. The Hulk). He runs up against an array of challenges and faces the anger of Lou for not getting a single bite on the famous property. However, Peter’s best friend Sidney Fife secretly invests $8000 in innovative billboards over high-traffic areas, featuring Peter as characters such as James Bond and a Leprechaun with hilarious quotes that insinuate that he can sell any property. Although Peter is initially peeved at this venture, he starts to embrace the bold move once he beings receiving endless calls from people who were captured by his unique advertisements. Granted, you don’t have necessarily have to invest $8,000 in creative billboard ads to get your name out there, but maybe if you were selling a house as expensive as “The Hulk’s” it would be a worthy cause! The fact remains that whether you are selling homes or helping your clients to buy a home, it is important to get your name (and face) out there. Real Estate has become an industry that is completed saturated with new agents daily, all wanting to get in on the action. When competition is that high, you need good effective marketing to pull in the clients. It is an exciting time for marketing with all the advances in digital platforms, such as social media giants Facebook and Instagram. They all feature methods to send out paid ads at different prices depending on the audience you want to reach or the goal of your campaigns. Tackling these tactics yourself is a brave endeavour when you are also running a business, so many self-employed professionals find themselves investing in Marketing Professionals to help get the job done, and get it done right. Whether you are working with a Marketing Company or following more of a DYI approach, here are a few of our favorite ideas for creating attention-grabbing marketing campaigns. 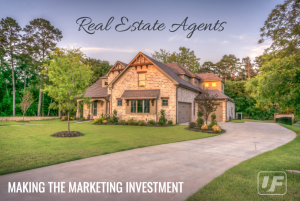 There are many different platforms you can utilize to market a property now-a-days, and many agents will end up spreading their budget over several of these. If you are limited on funds, the best method is to pick one of the top platforms and invest in that one. Most people searching for homes will stick to a favorite platform, and Zillow is currently one of the top sites for home-buyers to search with over 160 million visitors per month. Logos are one of the first and most important branding elements that anyone in business should have. Do the research to see what stands out the most, what echos your business personality, and communicates the most important message to your target audience. Hiring a professional designer will ensure that you are getting a quality logo that will represent you in the most dynamic way possible. A free (yet slightly time-consuming) way to build a rapport with your audience and give them a unique and inside look is by using Live Stream. Many platforms have this option today, but we suggest using Facebook (and maybe Instagram). Facebook is favored because it will archive the video for those who were too late to watch in the moment. Live Streams are a great way to give a tour of a home, speak with other professionals, and even to showcase testimonials from clients who were ecstatic to work with you. Ads created and promoted through these platforms have the ability to seek out your target audience specifically. Even with a smaller budget, you can push ads outside your existing followers to reach a wide span of targeted audience. While Facebook can work to publish ads on both itself and Instagram, we have found that using Instagram alone works wonders, as it is a visual platform. They key to effective marketing through these platforms is to create eye-catching ads which may require the assistance of a Professional Marketing Company, Photographer and Graphic Designer – for best results. Nothing says amateur like grainy, dark, ill-composed photos of your property. Photos of your listing are going to communicate how professional you are, and are a tool to showcase the gem that you are marketing. Professional Real Estate Photographers are incredibly valuable to market your property, and is an investment that is worth every penny. There are many ways to use Lead Generation, both paid and free. Discover some of the methods that top agents are using and try them out for yourself! We found a great list, which you can search through right here. You probably aren’t a stranger to what Google AdWords is and what it does. This method in bidding on keywords does require a lot more research and is best done with the assistance of a Marketing Professional, but it can garner highly effective results. How you build your campaign requires trial and error (as most marketing methods do), and depends greatly upon your area and competition. However, when utilized properly is one of the greatest marketing resources for coming up in relevant searches. Learn the art of perfecting a drip campaign with email marketing with this guide. Email Marketing is essentially using a set message to send out to your mailing list – a vital component of any business. Should you rent a mailing list or buy one? The guide will give you an in-depth look at the pros and cons of both, so you can make the best decision for your business. Who says that physical mail is a thing of the past? Put those beautiful properties onto postcards to send out, both raising brand awareness and inspiring interest in the most coveted properties. The top successful Real Estate Companies do it, and you should too. Keychains, pens, and even bottle openers are easy to give out and people will use them. Get your name, logo and slogan on these types of items, and you’ll quickly realize how much easier it is to give them out than even a business card. Think about how many business cards you receive but then never look at again. Then think of how often you would use one of those promo items, something that will repeat your name and communicate your message over and over again! Staying present in someone’s mind is the best way to ensure that they will think of you when they need your service! Whatever methods you pursue in the name of brand awareness and marketing, one thing is for sure – you will need to make an investment. When creating business plans and listing out the start-up costs, many new business owners forget to include the vital component of marketing. For this reason, Start-Up Loans and Small Business Loans are incredibly important for helping you to set yourself and your business up properly and get all the eyes you need to create new clients. Don’t overlook this necessary expense when planning out your new business!